We look after more than £4m of extra funding from our partners; a mix of public and private sector organisations, charities and funding bodies. We put this extra funding directly into your projects. In short, it means that you could get an extra £20,000 for your project - on top of the money raised from the crowd. It’s simple! You add your project on Crowdfunder and our clever matchmaker will ensure that your project is shown to our panel of extra funders. We’ll take it from there. Start a new project on Crowdfunder, tell us the basics and a rough outline of your story. Then, we can show you funds that you may be eligible for. 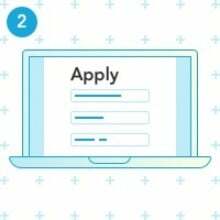 You can then choose to make an application for a relevant fund. If a partner likes your project, they may agree to support it. Start raising money from the crowd and once you reach an agreed percentage of your target, one of our partners could boost your total with a large donation. Below are our national and regional funds showing the amount that you could receive and who the funds are aimed at. If you would like to find out more about a specific fund, simply click the fund's name. Power to Change Get up to £6,000 extra For projects getting started on a community share issue. What's that? Stoneham Bakehouse received £10,000 of extra funding towards their crowdfund. Is my project eligible for extra funding? You could be eligible for more money on top of what you raise from the crowd, depending on what you're doing or where you're doing it. Each fund has varying and specific criteria, so explore the different funds available further up this page to see if your project fits the bill. In one simple word – Yes. Accessing extra funding through Crowdfunder is slightly different (and often easier!) 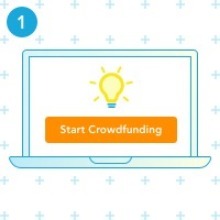 than the traditional grant giving process, and there is a huge range of benefits that crowdfunding provides to take your project to the next level, such as idea validation and awareness of your project.